My sister with a traditional Filipino cloth hanging over her shoulders. In the picture above, these thousand hills are green. But when the grass dries up, they turn brown like mounds of chocolates. 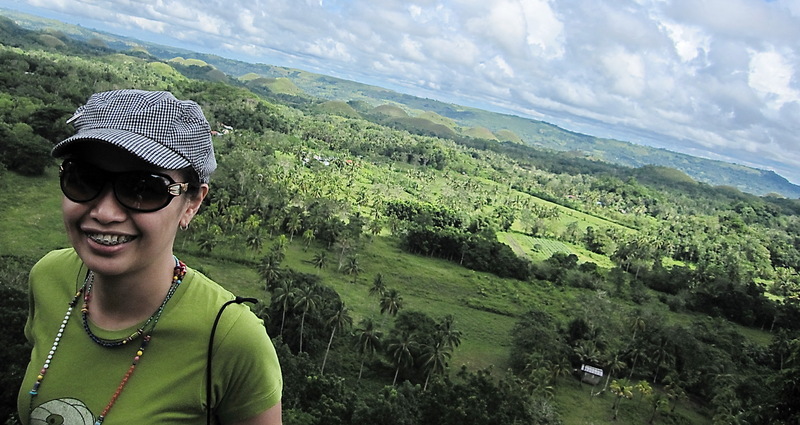 I saw the Chocolate Hills in Bohol for the very first time in old family pictures. My mother and aunt were there as young women, posing happily in the 1970’s. Since then, the Chocolate Hills was in my list of places to see. It took many years until I set foot on Bohol. 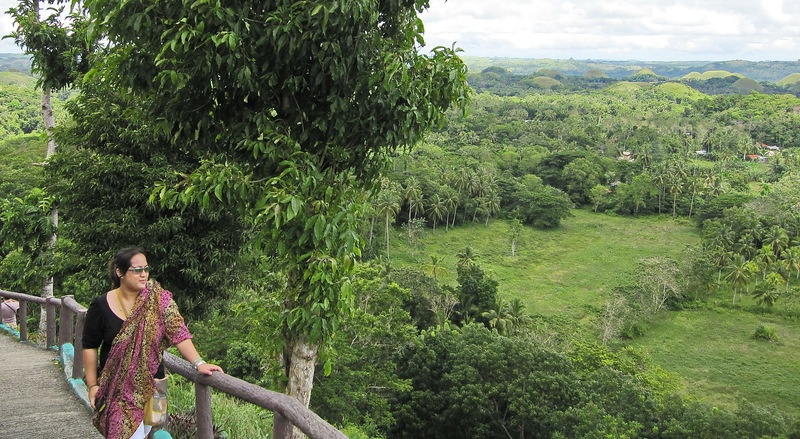 I’ve been to other countries and places, but I came to Bohol when I was 40. It was a childhood dream come true. 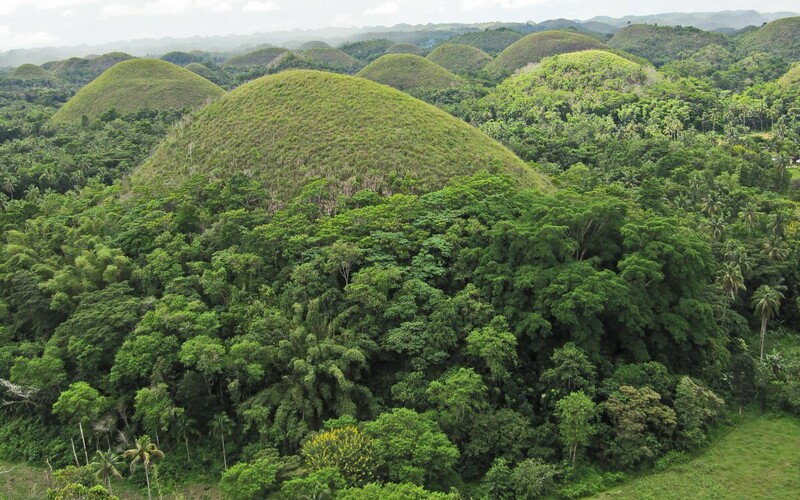 My new dream regarding Chocolate Hills? I would actually like to stay a day or two in a nipa hut on the foot, or atop, one of these hills. With my family. And hopefully some friends in Bohol coming over. Like my professor friend Alfredo. Some of the hills were damaged after the earthquake of 2013. But I will always remember the Chocolate Hills as simply perfect.